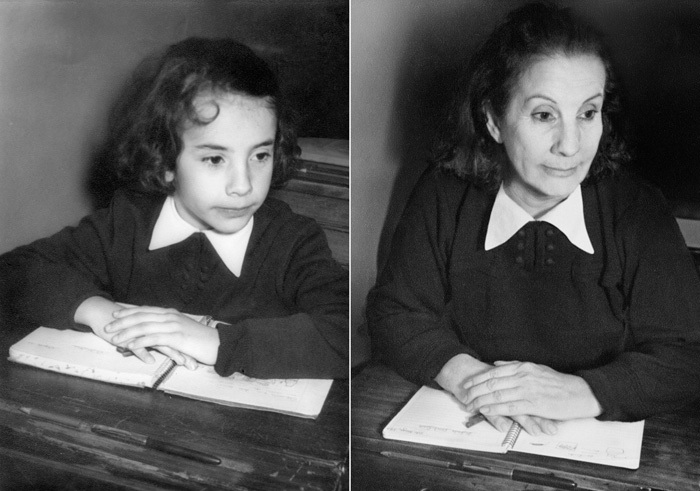 Irina Werning is an Argentinean photographer currently working on series entitled Back to the Future, where she retrieves old photographs from people’s homes and reconstructs the original image with the same people whom have now aged considerably, creating a haunting but also humorous juxtaposition of past and present. Werning states on her website, “Most of us are fascinated by their retro look but to me, it’s imagining how people would feel and look like if they were to reenact them today… A few months ago, I decided to actually do this. So, with my camera, I started inviting people to go back to their future”.